Iceland has a great number of powerful and beautiful waterfalls due to its location and climate, for that reason it was really hard to pick only five of them. Every waterfall is unique and special in its own way. It is probably one of the most famous waterfalls in Iceland. Gullfoss is located in southern part of the country and is the main stop in the Golden Circle route and for a good reason. The stunning waterfall is situated in the river Hvita and also known as “Golden falls” for its fascinating nature. If you happen to visit the waterfall in a particularly sunny day, the water will have a gold colour. Some people think that Dynjandi is the most beautiful waterfall in the country due to its extraordinary shape. 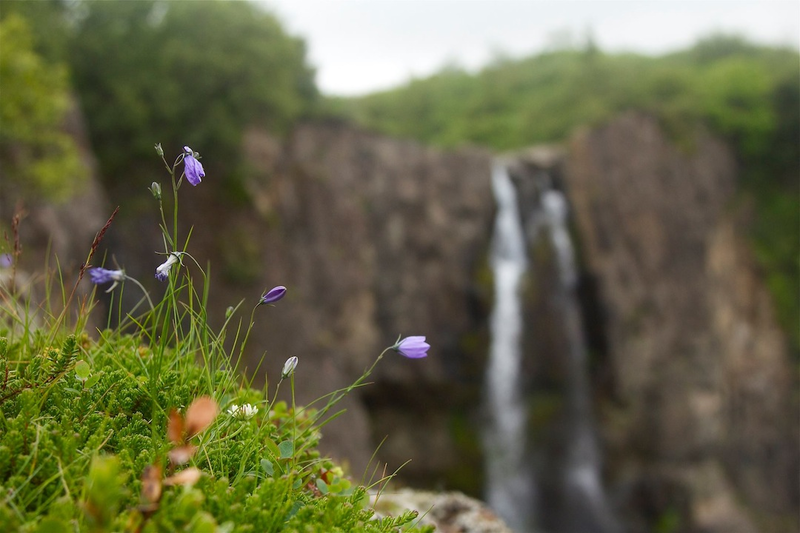 It is the largest waterfall in the Westfjords with a cumulative height of 100 meters. There is a man made path, that was built by volunteers in 1996, which will take you to Dynjandi. On the way up, you will be able also to enjoy smaller waterfalls in this areas. It was considered to be the highest waterfall in Iceland till 2011, when the new waterfall Morsárjökull was formed due to the recession of Morsárjökull Glacier. But despite this fact and also the remote location of Glymur, it is worth visiting, as the scenery is probably the most stunning even for Icelandic standards. To be able to enjoy the spectacular view, you need to hike on marked paths, but be careful as the route is strenuous and challenging. The wide river waterfall is located in the northern part of the country. Apart from magnificent view, it is also famous for its history. During the time Iceland became a Christian country, law speaker Þorgeir Ljósvetningagoð threw statues of Norse gods into Godafoss. It is the most powerful waterfall in Europe and you can feel its energy just standing next to Dettifoss, as the ground near the waterfall is trembling. It is located in Vatnajökull National Park, and most tourists approach the waterfall from the east bank of the river Jökulsá. You should bare in mind that the footpath is very slippery, however we hope that this challenges won’t stop you from enjoying the dazzling view on Dettifoss.